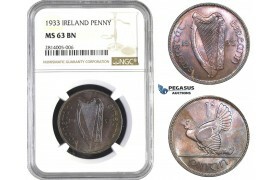 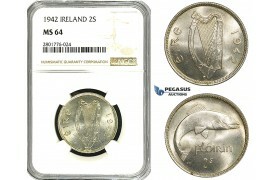 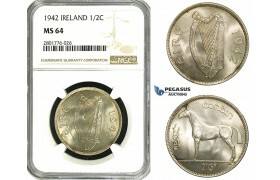 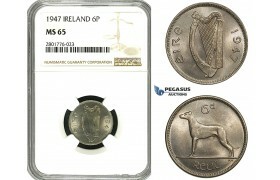 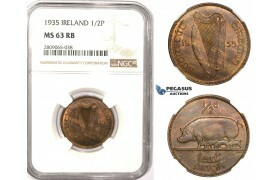 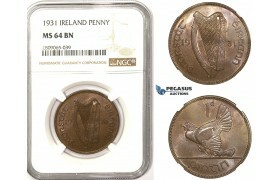 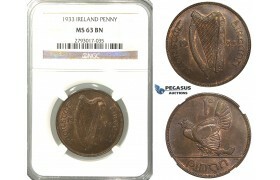 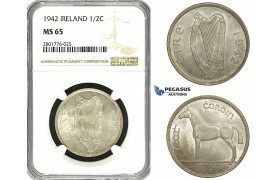 AA549-R, Ireland, Penny 1933, NGC MS63BN ..
AC940, Ireland, 1 Shilling 1942, Silver, NGC MS65 ..
R308, Ireland, Penny 1933, NGC MS63BN ..
R337, Ireland (Bank of Ireland) George III, Token 10 Pence 1813, Silver, NGC AU det. 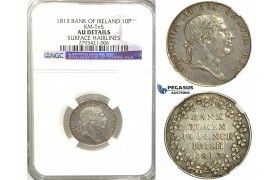 R337, Ireland (Bank of Ireland) George III, Token 10 Pence 1813, Silver, NGC AU det. 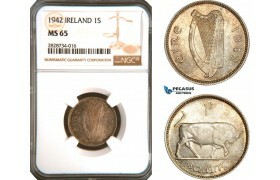 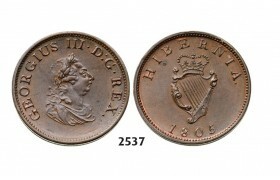 ..
R813, Ireland, Half Penny 1935, NGC MS63RB ..
R814, Ireland, Penny 1931, NGC MS64BN ..
ZD57, Ireland, Free State, 6 Pence (Sixpence) 1935, NGC MS65 ..
ZD58, Ireland, Free State, 6 Pence (Sixpence) 1947, NGC MS65 ..
ZD59, Ireland, Free State, Florin - 2 Shillings 1942, Silver, NGC MS64 ..
ZD60, Ireland, Free State, 1/2 Crown 1942, Silver, NGC MS65 ..
ZD61, Ireland, Free State, 1/2 Crown 1942, Silver, NGC MS64 ..